With that, I decided to have a linky party where mommy blogger around the globe could link up any posts that they can consider as little luxuries. It could be crafts, recipes, tips and others that would speak about our little ones. But before we start the linky party, it wouldn't be complete if I will not show you this week's Little Luxuries: Canopy Bed Ideas for Girls Bedroom. 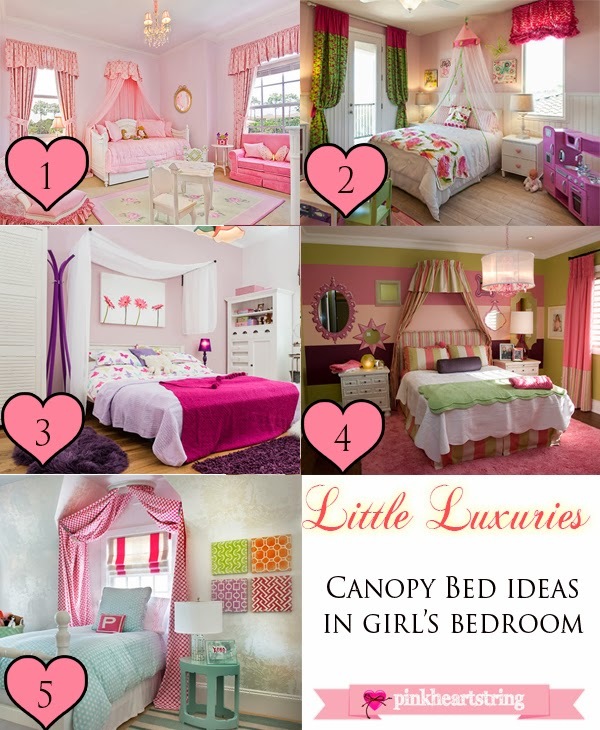 And oh, don't forget to leave your comments and tell us which Canopy Bed Idea for Girls Bedroom is your favorite!